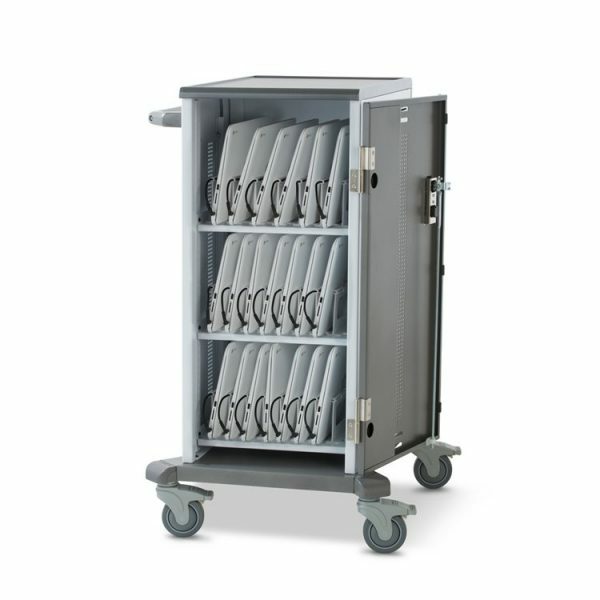 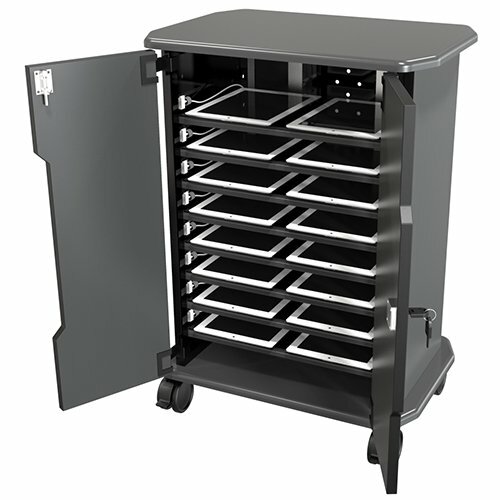 LTCT Series Laptop Storage Carts provide budget friendly basic security and Charging for Laptops, Notebooks, and Netbooks. 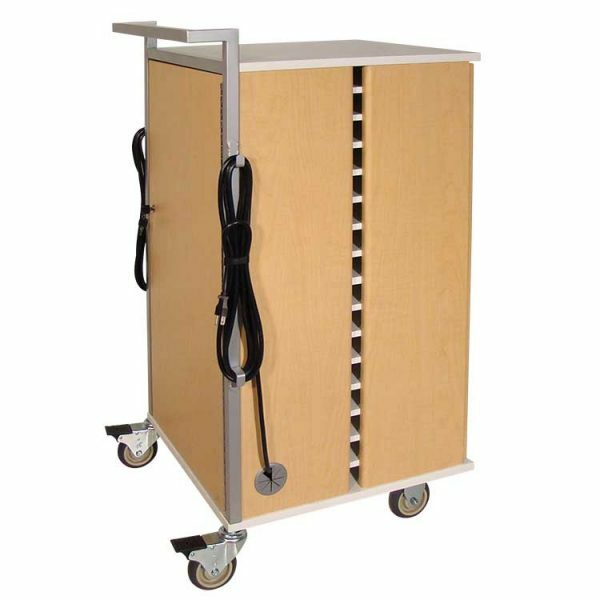 20 Unit Cart stores Laptops Horizontally on bays measure 15.5″ wide x 12″ deep x 3″ high to support any model of Laptop. 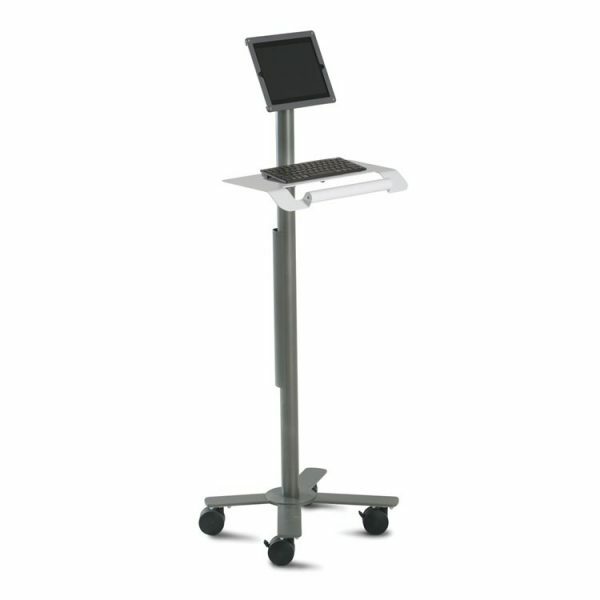 Use the Top of the Cart as a Teaching Station; its 18-1/2″ wide x 29-1/2″ deep surface provides plenty of space for a Projector and Document Scanner and 1″ high ridge keeps items in place when the Cart is moved. 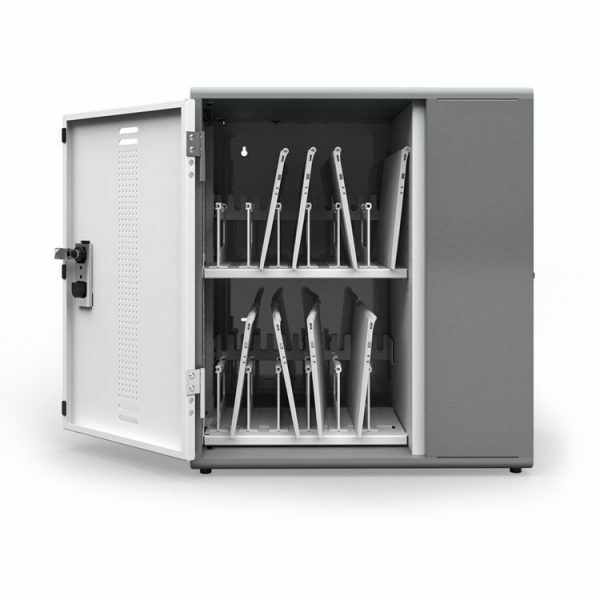 For Security, each Door has a Keyed Lock and 2 Point Locking Mechanism.